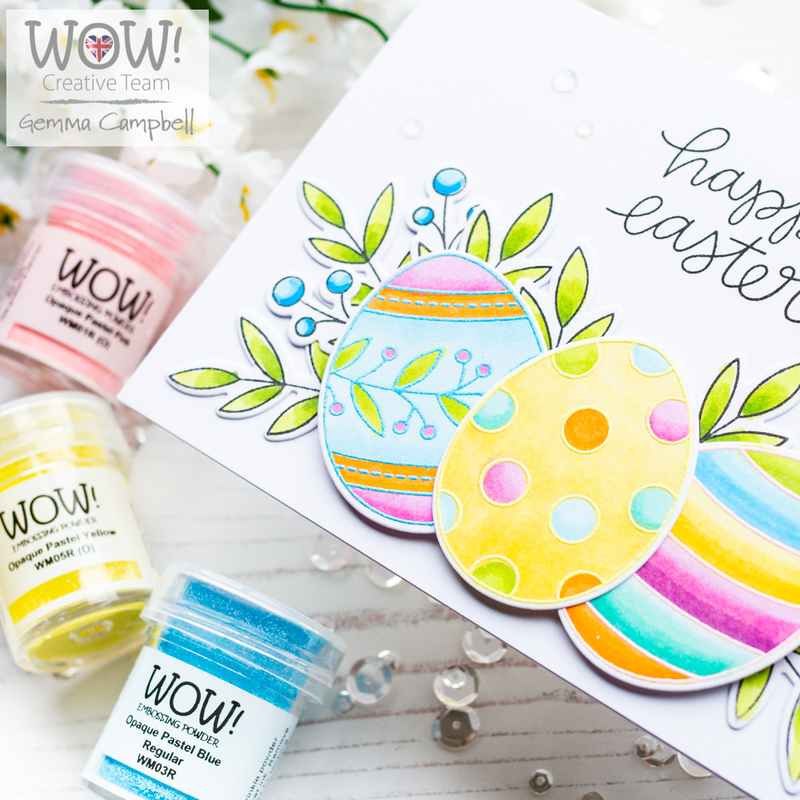 Today I’m sharing a card using this month’s theme of Pastels. I used some pretty pastel embossing powders to make an Easter themed card. 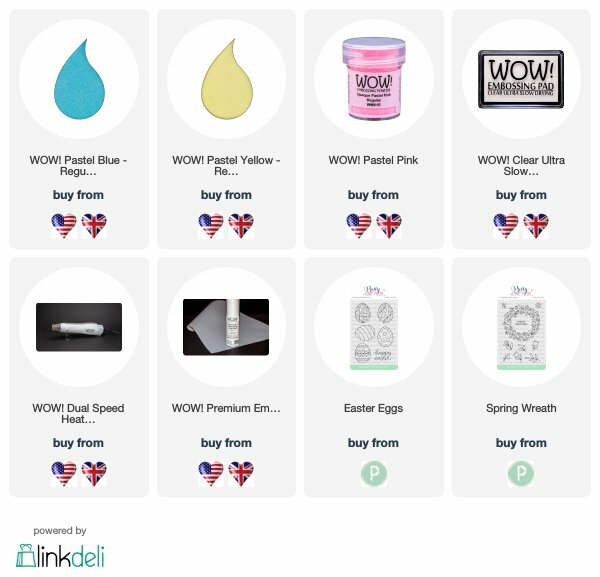 I began by choosing some Pretty Pink Posh Easter Eggs to emboss. I wanted to copic colour the images, but it’s not advised to use copics on embossed images as it can damage the nibs. To get around this, I used my stamping platform to first stamp the images in a light ink colour. Once I’d copic coloured the images, I put the piece of card back in my stamp platform, stamping over them again using WOW clear embossing ink. I then embossed them using Pink, Yellow, and Blue Opaque Pastel embossing powders. 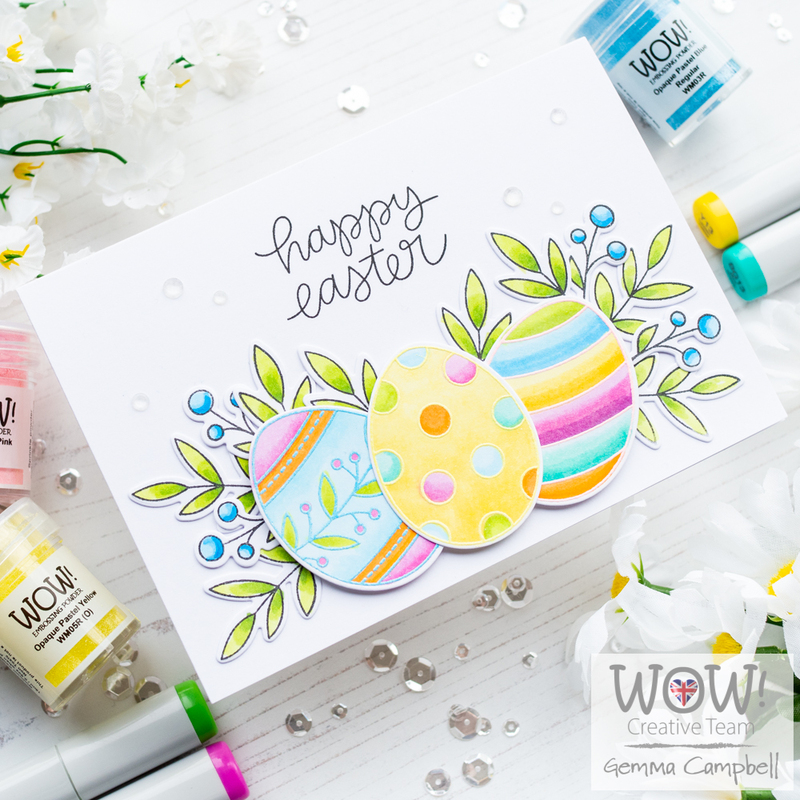 I layered the Easter Eggs with foam tape over some leaf and berry images from the Pretty Pink Posh Spring Wreath stamp set. 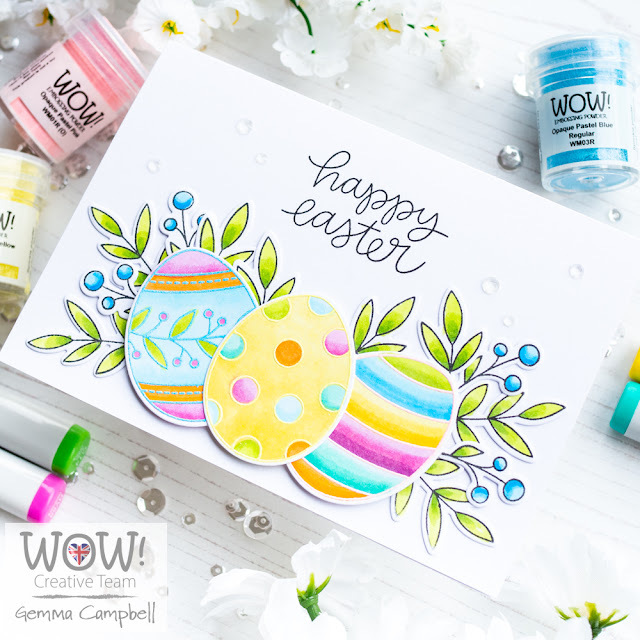 To finish, I stamped a sentiment from the Pretty Pink Posh Easter Eggs set, then added some PPP clear sparkling jewels around the card. 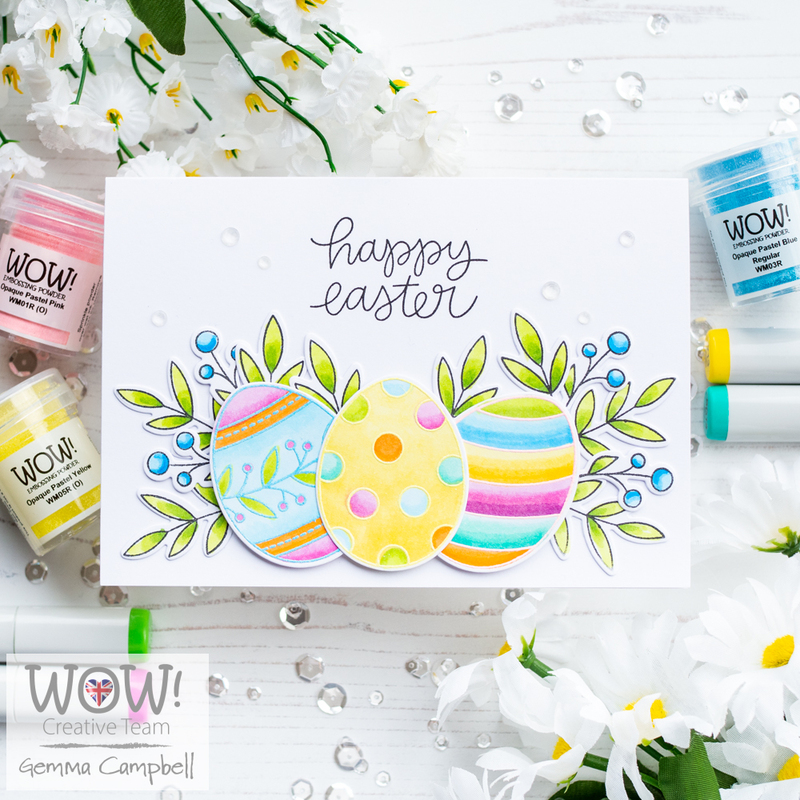 lovely vibrant colours super cute card for Easter. This is so crisp. Perfect coloring! I love pastel colors and this card is absolutely darling! You got great embossing powders and great color selection. Your embossing powder always leave a wow effect in my projects. Those colors! Those eggs! That sentiment! The sparkling jewels... all combined to make a very eye-pleasing card!